Charlize Theron, Nicole Kidman and Margot Robbie will also star. Annapurna’s Fox News movie has found its Roger Ailes. 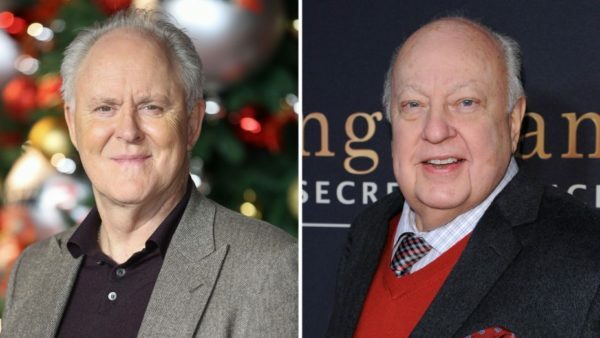 John Lithgow will play the media mogul in the feature that centers on the women who took on the famed toxic male culture of the news network. He joins Charlize Theron, Nicole Kidman and Margot Robbie who will play Megyn Kelly, Gretchen Carlson and an associate producer, respectively. The studio is financing and producing the project that was written by The Big Short scribe Charles Randolph and will be directed by Jay Roach. Theron will produce the feature along with Beth Kono and AJ Dix via their Denver & Delilah banner. Roach, Randolph and Margaret Riley are also producing. Ailes ran Fox News and helped launch the careers of Kelly, Carlson and Sean Hannity with his powerful channel. He also was a prominent figure in Republican circles who helped elect presidents Richard Nixon, Ronald Reagan and George H.W. Bush. Ailes was forced to resign in 2016 when a host of accusations of sexual misconduct surfaced, with Carlson’s and Kelly’s the most high-profile, and which contributed to his exit from the network.